*the Drugs Across Asia (link1) (link2) project was a collaboration between Department III of the Max Planck Institute for the History of Science, the National Taiwan University Research Centre for Digital Humanities​​,​ ​and the Dharma Dum Institute of Liberal Arts. by Dr. Michael Stanley-Baker. This workshop demonstrates DocuSky, a newly developed Digital Humanities tool built by the Research Center for Digital Humanities of the National Taiwan University for Sinologists so they can compile and analyze digitized text corpuses. In this workshop ​Dr. Michael Stanley-Baker of Nanyang Technological University will present the results of the Drugs Across Asia (link1) (link2) project, ​which data-mines drugs terms and their properties in the Buddhist and Daoist canons as well as medical literature, up until the beginning of the Sui Dynasty. This project was a collaboration between Department III of the Max Planck Institute for the History of Science, the National Taiwan University Research Centre for Digital Humanities​​,​ ​and the Dharma Dum Institute of Liberal Arts. With the help of instructors from the Research Centre, participants will then receive hands-on training for using MARKUS, as well as a set of tools from Docusky. ​Places are limited, so ​please send your registration information (name, unit / title, email) to https://goo.gl/zBeYxi to complete the registration process. ​Please bring your own laptop with a web-browser, text editor, and Microsoft Excel​ already installed. This event is co-sponsored by the Departments of Religious Studies at Cheng-chih University, and Fu Jen Catholic University, and the National Taiwan University Research Centre for Digital Humanities. 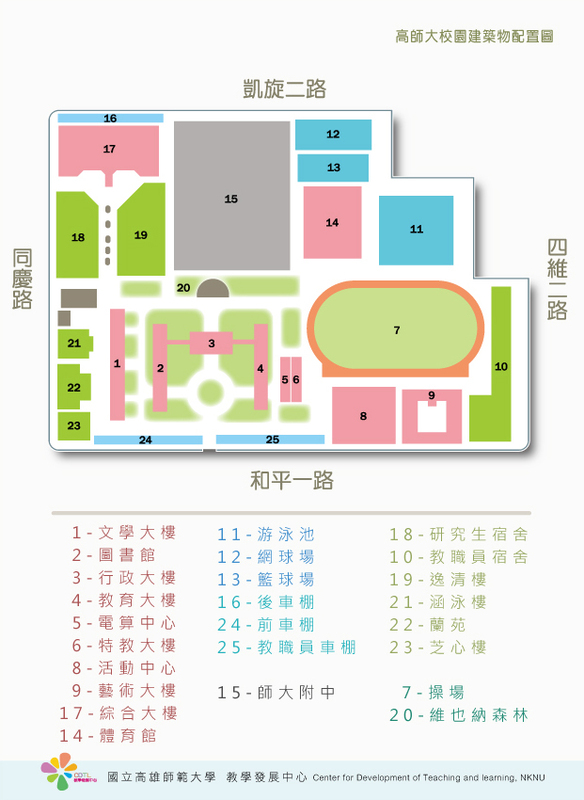 The tentative program for 2016 DADH, Taipei, Taiwan is now online.You can find it by clicking here. The 7th International Conference of Digital Archives and Digital Humanities 2016 will be held at National Taiwan University, Taipei, Taiwan on December 1-3, 2016. The theme of this year’s conference is “Digital Scholar, an emerging profession?”. We invites submissions of abstracts(1000-3000words) on any aspect of the digital humanities, particularly about the knowledge nature of digital humanities anddigital scholarship. The deadline for submitting is midnight Taiwan time, July 15, 2016. Please view the Call for Papers for further submission guidelines. Admission to the conference is free, but registration on-line is required. The online registration system will be open from October 1, 2016. "The 7th International Conference of Digital Archives and Digital Humanities 2016" will be held at National Taiwan University, Taipei, Taiwan on December 1-3, 2016. We will announce the conference theme and further submission guidelines in a few days. Book the date and keep following on us! Focusing on East Asia: The 6th International Conference of Digital Archives and Digital Humanities 2015” will be held at National Taiwan University, Taipei, Taiwan on December 1-2, 2015. We invites submissions of abstracts(1000-3000words) for the conference, on any aspect of the digital humanities and particularly about East Asia. The deadline for submitting is midnight Taiwan time, July 15, 2015. Admission to the conference is free, but registration on-line is required. The online registration system will be open from October 1, 2015. The On-site Research Method for East Asian Classical Literature: Finding New Evidence for Textual Analysis with the SOP and Technological Tools, such as GPS. “Crossover & Transformation: The 5th International Conference of Digital Archives and Digital Humanities 2014” will be held at International Conference Hall, Humanities and Social Sciences Building(HSSB), Academia Sinica, Taipei, Taiwan on 1-2 December 2014. We invites submissions of abstracts(1000-3000words) for the conference, on any aspect of the digital humanities and particularly on interdisciplinary work and new developments in the field. The deadline for submitting is midnight GMT, 1 July 2014. Please view the Call for Papers for further submission guidelines. Admission to the conference is free, but registration on-line is required. The online registration system will be open from 1 October 2014.